This activity uses the Scrabble tile scores to give value to each letter. 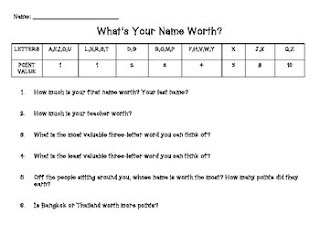 Students calculate the value of their name and other words. Good Work Work Centre, Math Centre, Morning Work Activity.